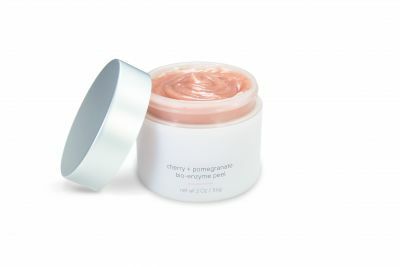 Cherry + Pomegranate Bio-Enzyme Peel, a delicious, skin-refining treatment containing all natural ingredients that help tone and brighten the skin. Phyto-active pomegranate enzymes effectively lift and digest redundant surface cells, while cherry fruit pulp provides high amounts of natural Vitamins A and C to reveal smoother, more nourished skin. Benefits: Illuminate and energize dull , uneven skin with tropical enzymes . 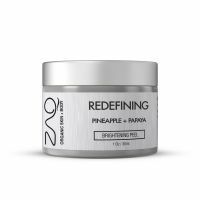 Lifts impurities, refines pores and brightens the skin giving a smooth healthy glow. Suggested Use: Apply a thin, even layer on clean skin, avoiding the eye area. Wait 15 minutes and rinse thoroughly with warm water.